Carena is using Smore newsletters to spread the word online. 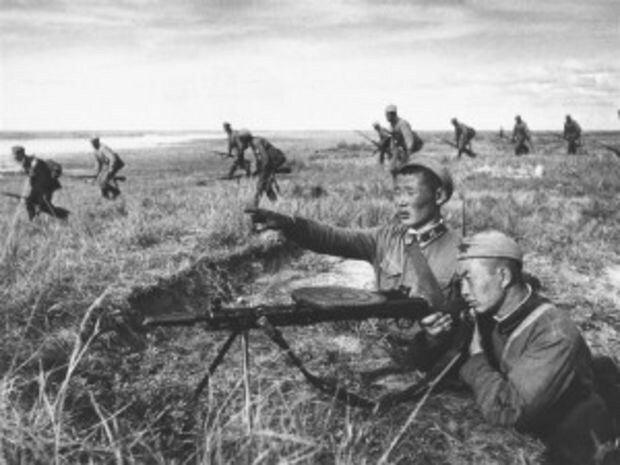 China was the first country to enter World War II. This is due to the numerous clashes since Japan took over Manchuria in 1931. China entered the war on July 7, 1937 after an incident at the Marco Polo Bridge. Even though China was fighting against Japan, China also fought among themselves. The Chinese Nationalist Party and the Communist Party of China were engaged in a civil conflict. Japan occupied many of China's centers, resource productions, and areas. 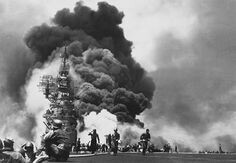 On December 9, 1941, China joined the Allies and declared war on Germany after the attack on Pearl Harbor. China experienced a huge death toll for both the military and the civilians. More civilians died than those in the army. However, the civil war in China continued after the war. The toll of the war on the Nationalist government was a factor in its defeat in 1949. 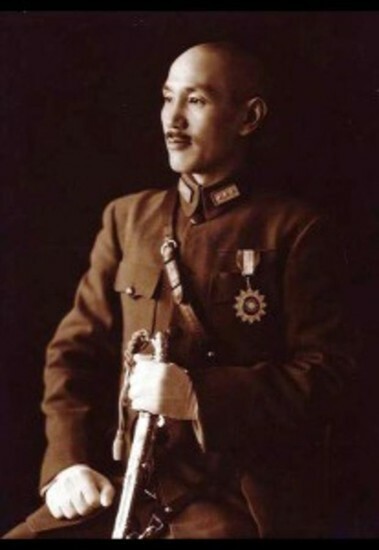 Chiang Kai-shek was a political and military leader for the Chinese Nationalist Party. 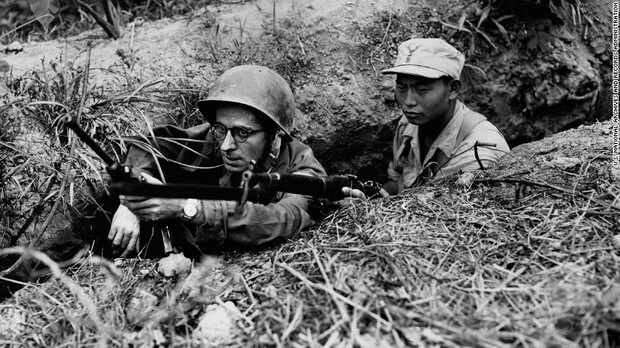 He focused on battling both Communism and Japanese aggression. However, after World War II, Nationalist power was lost and Communists took over. Chiang was exiled to Taiwan where he led the Nationalist Party. In fact, many countries viewed his government as the legitimate government of China for a while. Todd, Michael. "China Lost 14 Million People in World War II. Why Is This Forgotten?" Pacific Standard. N.p., 17 Sept. 2013. Web. 02 Dec. 2015. <http://www.psmag.com/politics-and-law/china-lost-14-million-people-world-war-ii-forgotten-66482>. The Marco Polo Bridge is located near Beijing. Small numbers of both Japanese and Chinese soldiers were stationed near the bridge. 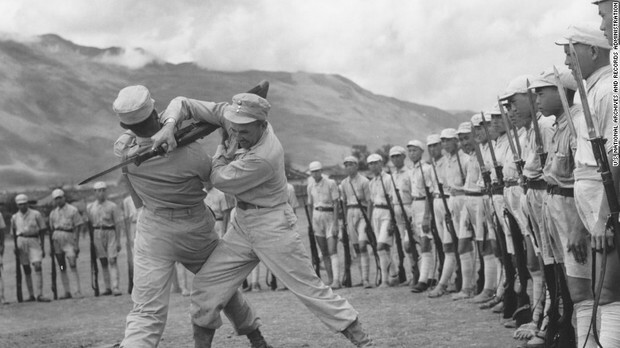 One night in July, 1937, the Japanese were doing training exercises and shots were eventually exchanged between the Chinese and the Japanese. This is the incident that began World War II. "China's Role in World War II Undeniable." - Opinion. N.p., n.d. Web. 02 Dec. 2015. <http://www.chinadaily.com.cn/opinion/2015-09/02/content_21776529.htm>. Hideki Tojo (Japanese) sent an army in Chahar to invade Shanxi for the resources. When Datong fell, the National Army for China went defensive and gathered along the Great Wall in various places. Unfortunately, the troops that were sent to aid Shanxi and reinforce the troops left holes and weak spots in Northern areas. Japan used the opportunity to attack these holes and force the Chinese back. This led to the Battle of Xinkou. "Mapping China's Major Battles of WWII." CCTV America. N.p., n.d. Web. 1 Dec. 2015. <http://www.cctv-america.com/2015/07/07/mapping-the-major-battles-of-wwii-china>. 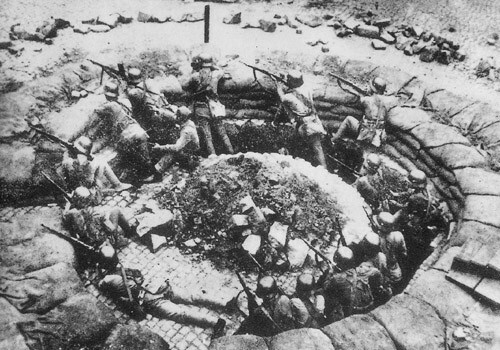 The Battle of Shanghai took place from August 13 to November 11 between the Nattional Revolutionary Army and the Japanese Army. This was one of the deadliest battles between the Chinese and Japanese, China suffering more than 280,000 casualties and Japan more than 90,000. China held her ground even when Japan expected victory in three days. However, even with all the men and resources Japan did not expect to commit, Japan still won. After a third of Nanjing was burned, Chinese troops surrendered, and 300,000 Chinese civilians were killed, many women and children were taken. 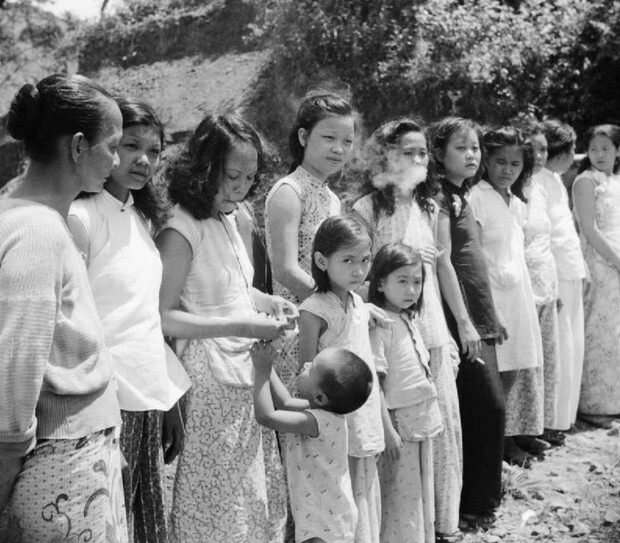 The women taken were called "comfort women" and forced into sexual slavery. Their roles were to comfort and sate the appetites of Japanese soldiers. By 1940, Japan had made Nanjing the capital of a puppet government. 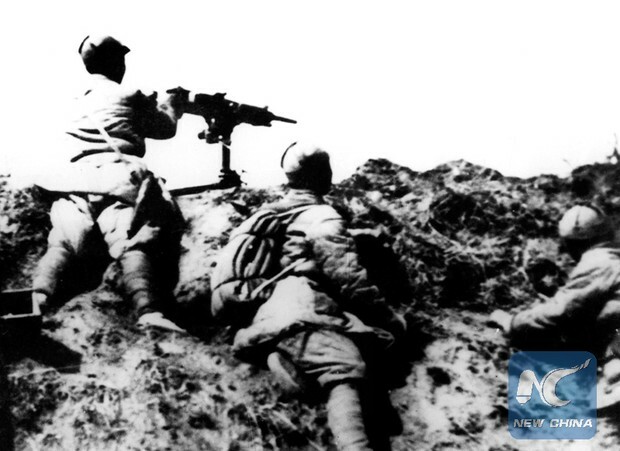 "Remembering China's Role in World War II - Timeline." Timeline News. N.p., n.d. Web. 02 Dec. 2015. <https://www.timeline.com/stories/china-victory-day-wwii>. After the incident at China's capital Nanking, 300,00 were killed and many were taken hostage. 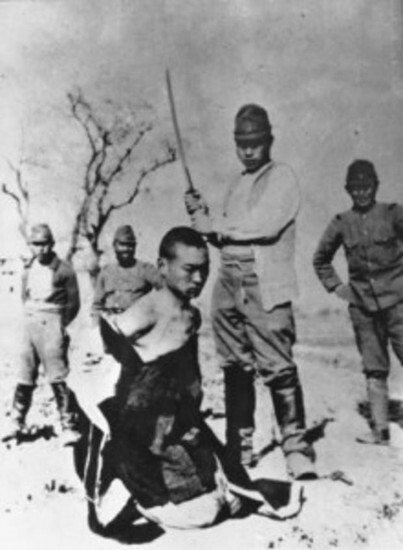 This photo shows a Chinese man, prisoner of war, about to be beheaded. 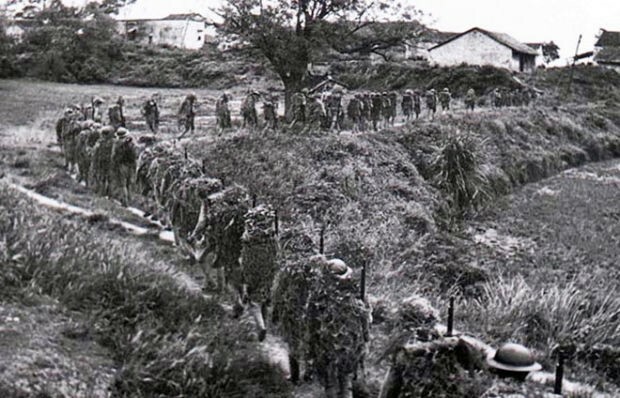 National soldiers marched to fight the Japanese in 1949. The Chinese fought in their own territory since the Japanese had been invading for so long. Nationalist soldiers fought for the Chinese government. 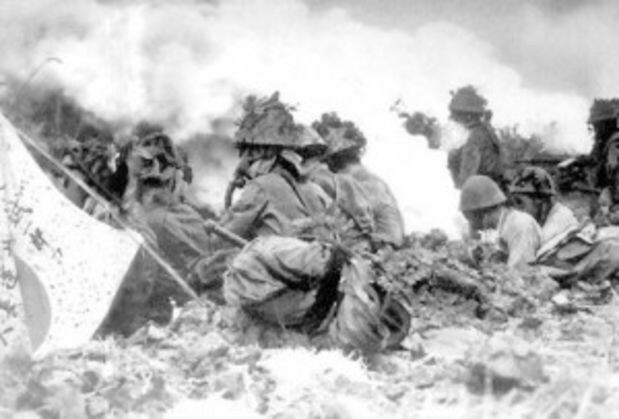 Japanese forces would use chemical agents on Chinese, even entire villages. However, in this photo, chemical agents were sprayed by Japanese into the positions and locations of Chinese soldiers. The chemicals would burn the skin and hurt the soldiers very badly. 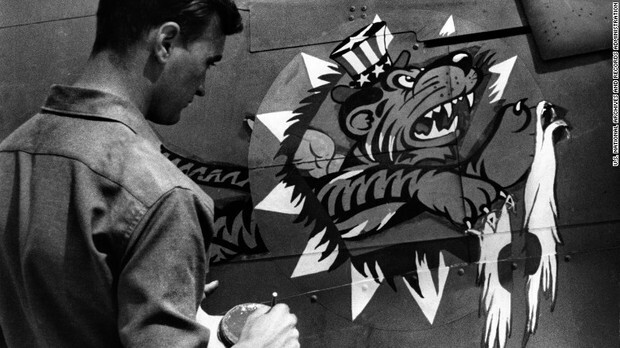 In this photo, an artist with the Chinese Air Force in a command of the United States Army Air Force paints an insignia of the Flying Tigers on a plane. The Flying Tigers involved US pilots recruited by the Chinese, they were considered among the first in the US to help out. "Forgotten Ally? China's Unsung Role in World War II - CNN.com." CNN. Cable News Network, n.d. Web. 02 Dec. 2015. <http://www.cnn.com/2015/08/31/opinions/china-wwii-forgotten-ally-rana-mitter/>. On December 8, 1941, Japan attacked Hong Kong. This was right after Japan had attacked Pearl Harbor. The battle, the Battle of Hong Kong, lasted till the 25th of December. Great Britain moved to take responsibility for Hong Kong and defend the area, but as the war continued, London government had to decrease the troops there for use elsewhere. As a result, Hong Kong surrendered on Black Christmas and led to 9,500 British captured, 2,113 killed or missing, and 2,300 wounded. Hong Kong remained occupied for the rest of the war. Taylor, Alan. "World War II: The Fall of Imperial Japan." The Atlantic. Atlantic Media Company, 23 Oct. 2011. Web. 01 Dec. 2015. 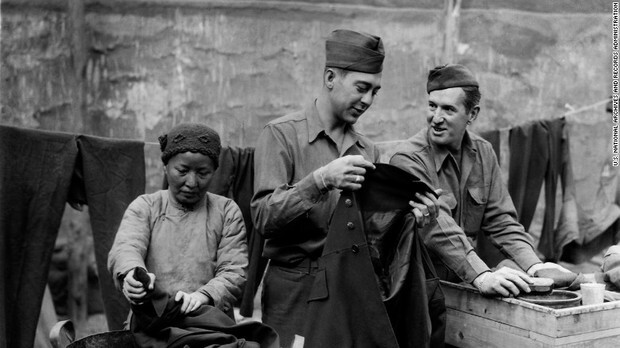 <http://www.theatlantic.com/photo/2011/10/world-war-ii-the-fall-of-imperial-japan/100175/>. Many Asian countries, including the Chinese nationalists, partnered and paired up with the Soviets. The Soviets were able to provide manpower, air power, money, supplies, etc.. Russian air power was in fact significantly greater until the 14th US Air Force arrived. 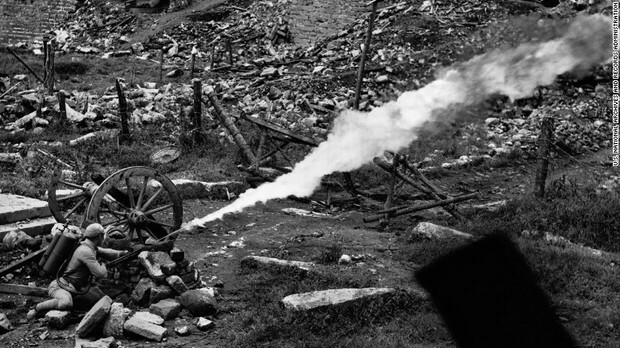 China used "flamethrowers" or incendiary devices during the three-month siege of Tengchung. Tengchung is an ancient walled city and Japanese stronghold. The Chinese were trained by U.S. officers to use the incendiary devices. However, the Chinese Communists struck mention of American cooperation following the end of the war and Communist vicotry. 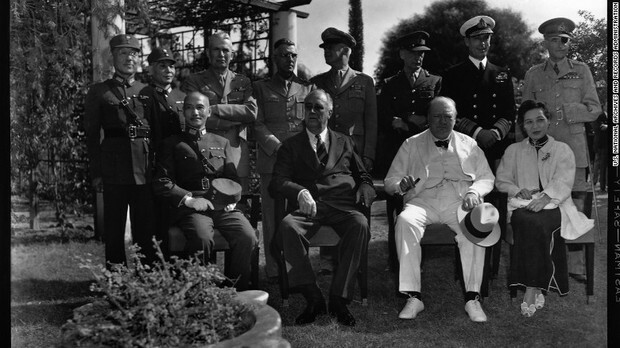 A conference between the Allies was held from November 22 to November 26 in 1943 in Cairo, Egypt. The conference discussed and outlined the Allied position against Japan. It was decided by the end that Japan would be stripped of the seized territories since 1914 and that all the stolen territories from China would be restored. 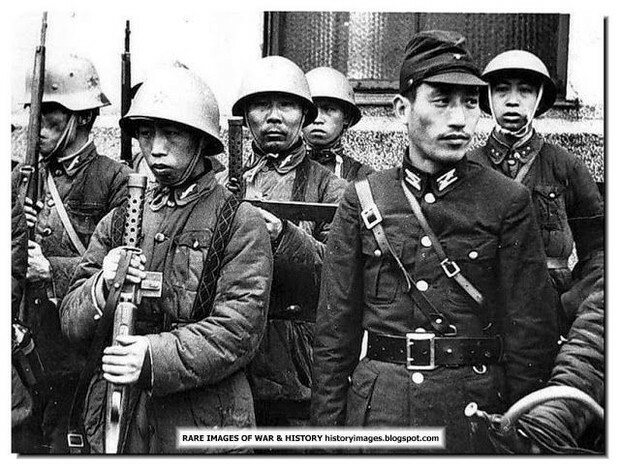 During World War II, there were many different groups and factions among the Chinese. One group, called the Chinese Collaborators' Army Royal was known for their work and collaboration with Wang Jing Wei's government and the Japanese Army. However, much of this was overshadowed by the Chinese Communist Party's takeover after the war. "HISTORY IN IMAGES: Pictures Of War, History , WW2." : Japanese Invasion Of China 1931-45: RARE (LARGE) IMAGES. N.p., n.d. Web. 01 Dec. 2015. <http://historyimages.blogspot.com/2011/11/chinese-japanese-war-1931-45-pictures.html>. By the end of the war, nearly 14 million Chinese had died during 1937 to 1945 time period. This is a combination of both civil and military conflicts. Additionally, 100 million of the Chinese had become refugees during the eight years. China fought many of Japan's soldiers, and in the process managed to take out 1,200,000 of the 2,300,000 Japanese who died. China's focus and place in distracting the Japanese on their front allowed less focus from the Japanese on the Pacific front against the U.S..
"China, a Forgotten WWII Ally, Deserves More Respect." - Xinhua. N.p., n.d. Web. 02 Dec. 2015. <http://news.xinhuanet.com/english/2015-08/05/c_134484631.htm>.